Digital printing has revolutionized how people print their documents. Now, most people print their documents easily within the comfort of their homes or offices. For others, it is a matter of bringing their files to the print shop, on a USB stick or through email, and ask for prints. It is that simple. Despite the convenience digital printing has brought to our lives, other methods of printing have their own advantages. Choosing the right printing solution saves you cost and ensures that you get the best quality printing. Here, HotPrint USA explains the benefits of both methods and some common scenarios where each of these printing methods is more suitable. Digital printing is very popular printing method nowadays due to the convenience it offers to home and office users. Digital printing has eliminated the need of many steps involved in the traditional printing process. It does not require making films, color proofs, manual stripping of pieces together and making of printing plates. Here are some common scenarios where digital printing is a better choice. Digital printing is best suited where you need the prints quickly. It is better suited where the printing volume is low. It is a method of choice where you need to print documents with variable information. For example, if you want to send letters to your clients by name, you can use digital printing to customize each letter with the name and address. Offset printing is a time-tested method for high-quality printing. In this method, the desired image is burned onto a plate. This method works by repulsion of oil and water. The printing areas get the ink while the non-printing areas do not. 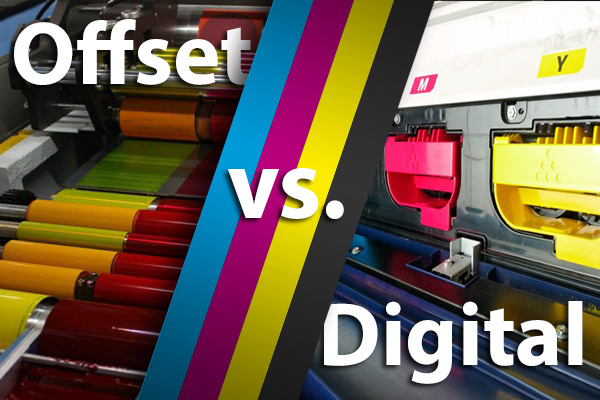 HotPrint USA recommends the following situations where offset printing is a better choice. While the quality of digital printing has improved significantly, offset printing still offers better quality than digital printing. Next ArticleClockIn Portal, an Online Timesheet Management Software – Does it Deserve a Try?